← And, I am an African. Kayla Mueller had been held hostage by the Islamic State since 2013. She was kidnapped while leaving a Doctor’s Without Borders hospital in Aleppo, Syria on August 4th – just 10 days shy of her 25th birthday. She was working with refugees on the Turkey-Syria border at the time of her capture but she had also been making trips into Syria to help reconnect family members separated by the fighting. It was one of these trips that took her to Aleppo where she was kidnapped. 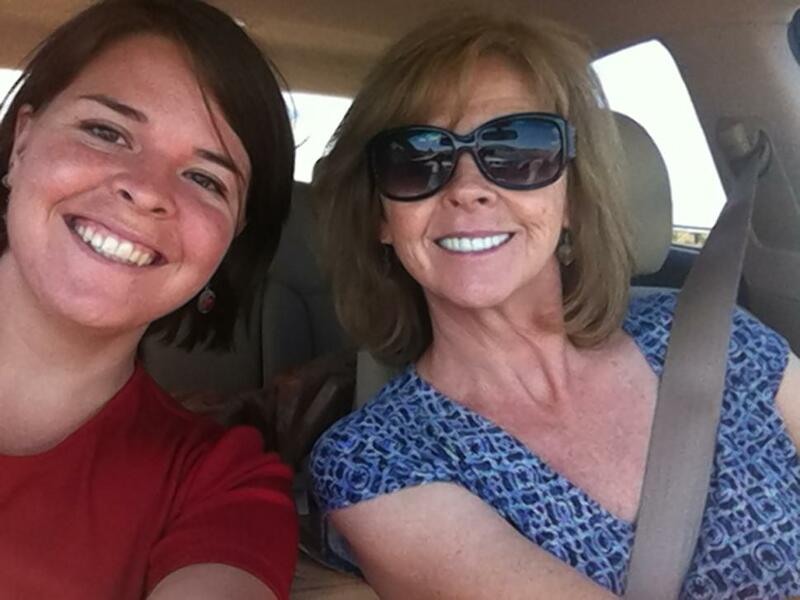 Kayla Mueller with her mother, Marsha Mueller. Although rumors of their daughter’s death had been circulating for several days prior, the family was still holding out hope. However, upon receiving confirmation of their daughter’s death yesterday, the Mueller family released the heart-wrenching letter that Kayla had written to them while in captivity. The extraordinary message she struggles to write to her parents and family exemplifies her strength, bravery, compassion, and love for her family. “Everyone, if you are receiving this letter it means I am still detained but my cell mates (starting from 11/2/2014) have been released. I have asked them to contact you +send you this letter. It’s hard to know what to say. Please know that I am in a safe location, completely unharmed + healthy (put on weight in fact); I have been treated w/ the utmost respect + kindness. If you could say I have “suffered” at all throughout this whole experience it is only in knowing how much suffering I have put you all through; I will never ask you to forgive me as I do not deserve forgiveness. I remember mom always telling me that all in all in the end the only one you really have is God. I have come to a place in experience where, in every sense of the word, I have surrendered myself to our creator b/c literally there was no else…. + by God + by your prayers I have felt tenderly cradled in freefall. I have been shown in darkness, light + have learned that even in prison, one can be free. I am grateful. I miss you all as if it has been a decade of forced separation. I have had many a long hour to think, to think of all the things I will do w/ Lex, our first family camping trip, the first meeting @ the airport. I have had many hours to think how only in your absence have I finally @ 25 years old come to realize your place in my life. The gift that is each one of you + the person I could + could not be if you were not a part of my life, my family, my support. I wrote a song some months ago that says “The part of me that pains the most also gets me out of bed, w/out your hope there would be nothing left…” aka ­‐ the thought of your pain is the source of my own, simultaneously the hope of our reunion is the source of my strength. InspiredByMyMom.com is deeply saddened by the death of this formidable young woman and joins others around the world in sending their condolences to the entire Mueller family. This entry was posted in Daughter, Inspirational, Mother, Women and tagged bravery, final letter to family, humanitarian, inspiration, Inspired by my mom, inspiring story, inspiring women, IS hostage, Kayla Mueller. Bookmark the permalink. What an extraordinary person she was…..To live with such purpose…. Truly an amazing young woman. This is a very inspiring, and very sad letter. Thank you for sharing it. She was so full of hope and love. I appreciate you taking the time to read it.